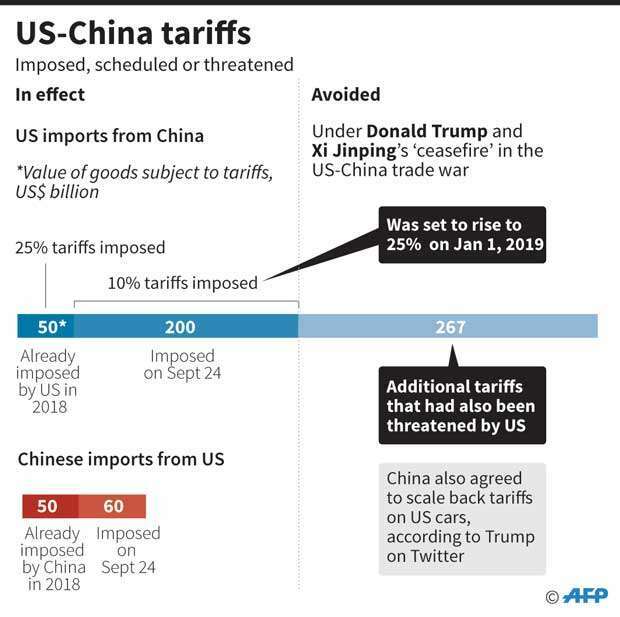 BUENOS AIRES - The trade talks that President Donald Trump and Chinese President Xi Jinping launched this weekend have raised hopes for a peaceful resolution of the trans-Pacific tariff war - but the economic relationship between the U.S. and China has been permanently altered. Over dinner following the Group of 20 summit Saturday, Trump agreed to cancel a planned Jan. 1 tariff increase in return for increased Chinese purchases of American farm and industrial goods. The two sides also will commence talks about “structural changes” in Chinese practices, including forced technology transfer, trade secrets theft, and non-tariff barriers. The goal is to secure an agreement in 90 days. Over the past quarter century, American manufacturers grew dependent upon low-wage Chinese workers to produce iPhones, clothing and industrial parts, often at the expense of factory employees in the industrial heartland. China, in turn, invested more than $140 billion in the United States since 2000, according to the Rhodium Group, further knitting together two economies that account for roughly 40 percent of global output. But altmost a year of heated U.S. rhetoric, escalating tariffs, and tighter investment and export controls have shaken Chinese government officials and global business executives. As repeated tariff salvos prompt companies to rethink their reliance upon Chinese factories, Beijing is stepping up efforts to wean itself from what it sees as an unpredictable American partner, according to trade analysts, business executives and former government officials.